With the Orderflow Print Suite You will no longer second guess your abilities to trade and make a consistent income from the markets. Because you’ll be armed with universal strategies and tools for day trading or swing trading futures, forex and stocks on any timeframe, and for any trader type. 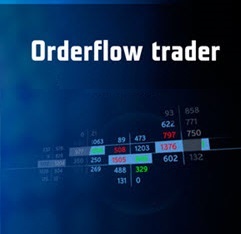 Orderflow Print removing unnecessary trading hype and provides what matters most, institutional “Market Orderflow Print & Volume Profile”. By looking inside each price bar to identify bid/ask orderflow print and volume profile, you can take precision entries and exits using the internal view of the market. And witness what the big players do to trade against the retail public. Watching institutions key order flow intell allows you to trade right alongside them, without getting trapped against their trade decisions. With true market orderflow print and volume profile, you will know in advance where to trade and where not to trade — so you only trade when the risk is lowest and the rewards are highest. See true order flow in each price bar so you can see the executed order flow rather than guess what’s happening between buyers and sellers. This improves entry and exit strategies because it shows real time orders being executed in each price bar. Making it easier to spot the best locations to limit risk, and let profits run during a trade. Bar Volume Profile — Tracks volume in real time. This helps improve entry techniques by showing volume shifts intra-bar. It also helps improve trailing stop management because you can let winning trades run longer when volume supports the direction of the trade. Composite Volume Profile — Tracks institutional value and sentiment. This helps identify the macro view of daily volume and value. This will show you where the institutions are setting the environment for the day and maps out value areas important for directional sentiment. 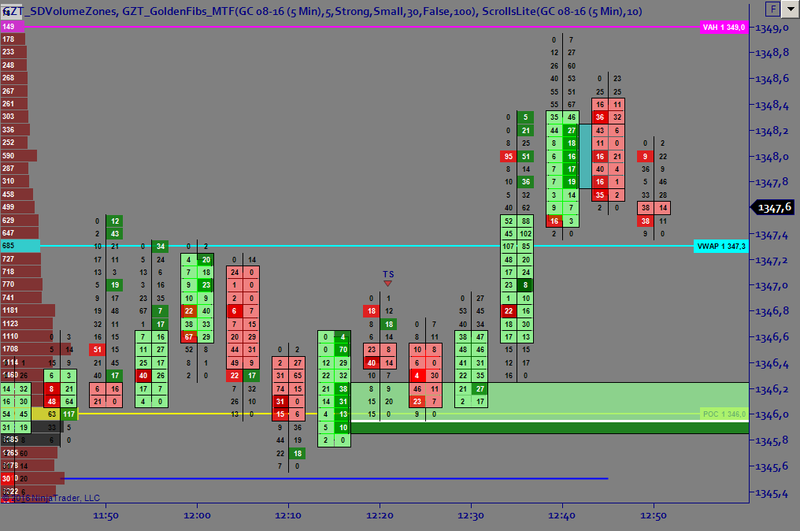 Manual Volume Profile — Allows you to create custom profiles around areas of trading interest. Giving you the flexibility to draw custom volume profiles at areas you’re planning on trading, while giving you inside volume data for your execution strategy. 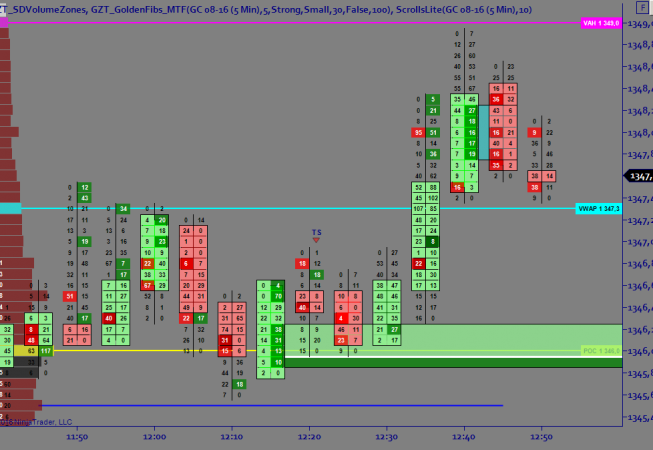 Locate true supply and demand levels driven by market orderflow print imbalances (NOT SUPPORT & RESISTANCE). This shows you where the market has been deemed cheap (demand) or expensive (supply) so you can buy and sell at the correct locations set by the bigger players. Identify buy and sell signals driven by exhausted order flow. So you can get into a trade on the specific bar that offers the lowest risk due to trapped order flow. Identify buy and sell signals when price moves in one direction but the (net) change in orderflow is signaling that the order flow does not support the directional move. These ‘divergent’ signals can help you avoid fake-outs or false moves while also signaling exhaustion at key levels that are crucial for timing entries and nailing exits. It displays indicator confluence so traders can easily identify high probability trading conditions.